Wealth comes in many guises, especially when it refers to the public resources of whole countries or territories. Some have oil, some have gold, others have massive snow-capped mountains that they turn into skiing resorts. 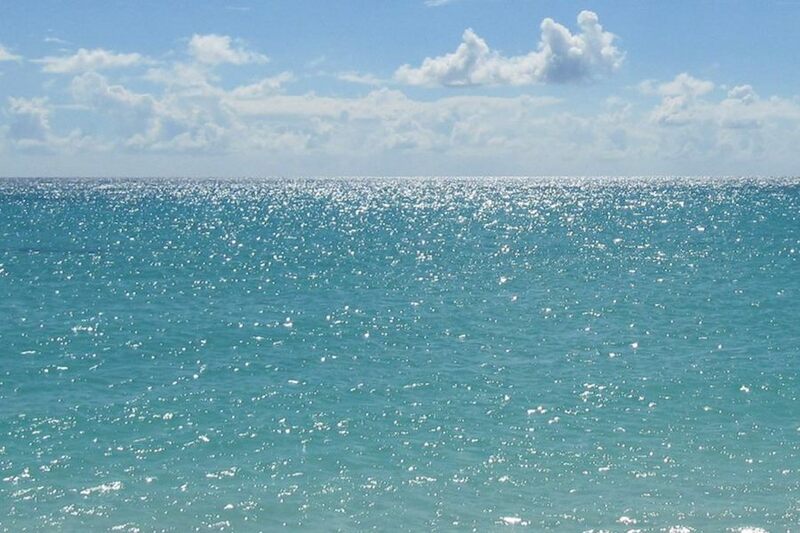 Anguilla’s most precious natural resource is, without doubt, the many exceptional beaches that garland the island’s coastline, especially along the western part of it, from Rendezvous Bay to Shoal Bay West on the southern coast, and from West End to Long Bay facing north. 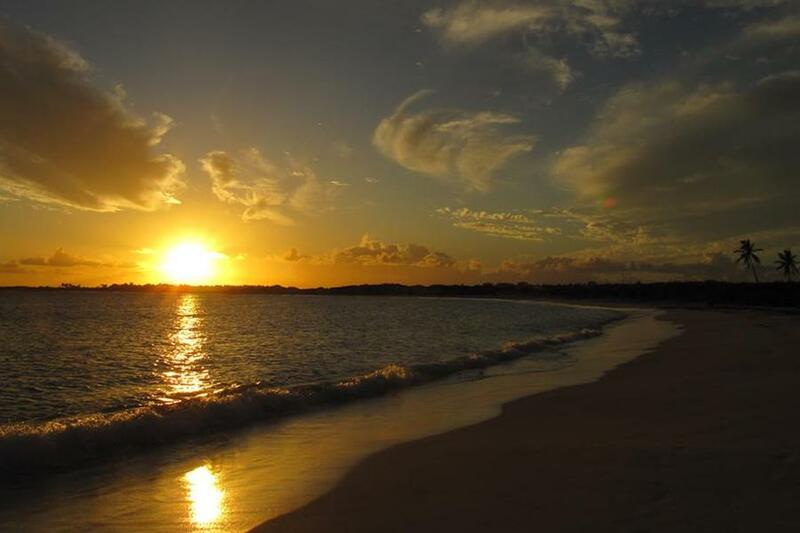 Anguilla’s gold is its sand, which comes in different shades of white and even varies in size and texture but which remains exceptional throughout the island. For centuries sand would have been of little value but with the advent of a beach-loving culture in the western world in the twentieth century and the unparalleled rise of the tourism industry Anguilla has found itself perfectly positioned to exploit a tendency that, at last, favors its natural disposition. 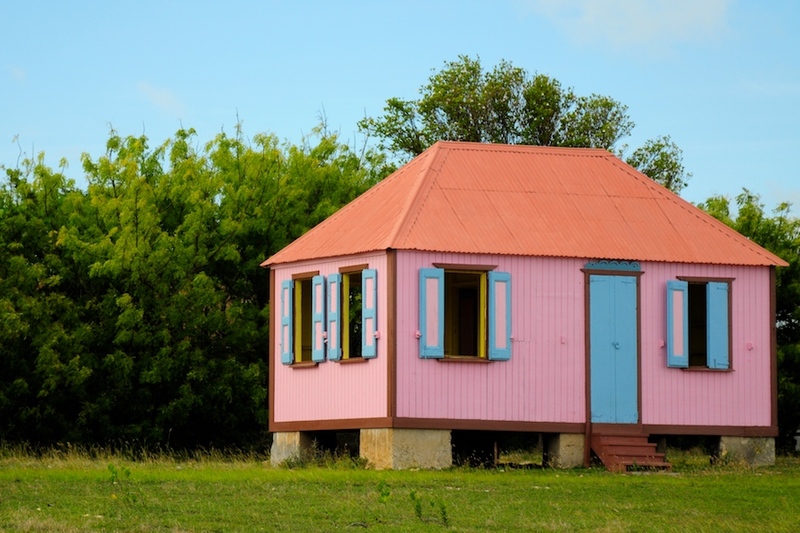 Though just 16 miles long, Anguilla is so drastically different from one end to the other that on occasion you might still find some people in East End or Island Harbour who haven’t visited their family in West End for years, decades—sometimes ever! Indeed, east and west are so far apart in Anguilla that it’s often said that when resistance and revolt were being fraught in the eastern villages of the island in the heady days of separatism, back in the 1960s, people in West End were no wiser to the details than the central government in St. Kitts. 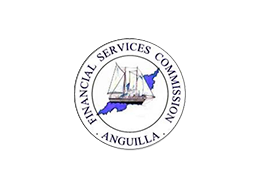 It’s all idle talk, no doubt about it, but it serves to illustrate the enormous chasm that separates Anguilla’s opposite nodes. If The West remained oblivious to preparations for the break-up with St. Kitts in the late 1960s, though, The East was left similarly in the dark when upscale tourism took the island by storm in the 1980s. The first luxury operation to on the island was Malliouhana on Meads Bay, which famously began its upscale service in 1981 before there was even a kitchen on the premises—consequently having to shuttle the food back and forth between Meads Bay and the restaurant in Cul-de-Sac, halfway across the island! Then came Cinnamon Reef, which opened in 1983 on the more central location of Little Harbour, followed by the extended Malliouhana (Meads Bay, 1984), Cove Castles, designed by Myron Goldfinger and set on the beautiful Shoal Bay West (1985), Coccoloba Spa, wedged between Barnes Bay and Meads Bay (1987) and Cap Juluca on Maundays Bay (1988). 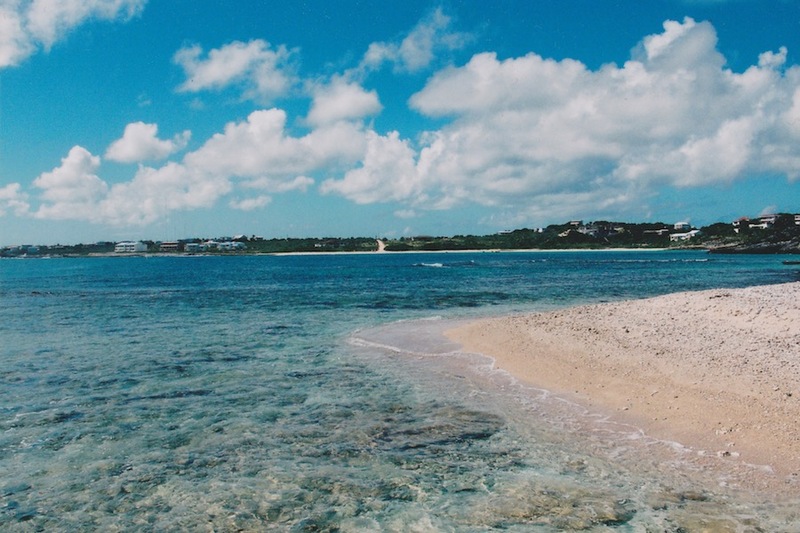 Within less than a decade (plans for the development of Malliouhana began in 1979) the area between Meads Bay and West End had become the epicenter of Anguilla’s torrid transformation into one of the most coveted destinations in the world. The East, meanwhile, lay dormant and placid, as if the future hadn’t yet arrived. Today the contrast between east and west is no longer quite as stark as it once was—and yet, West End village, with its quaint Caribbean look and laid back attitude, still preserves its unique identity. There’s prosperity all around, with large supermarkets where once there was but a grocery store and a beautifully maintained professional golf course where before all was scrub and stones, yet somehow West End remains impassive to the change, caught in the same self-absorption that once, perhaps, isolated it from the revolutionary bug. Same same, you might be tempted to say, but different. 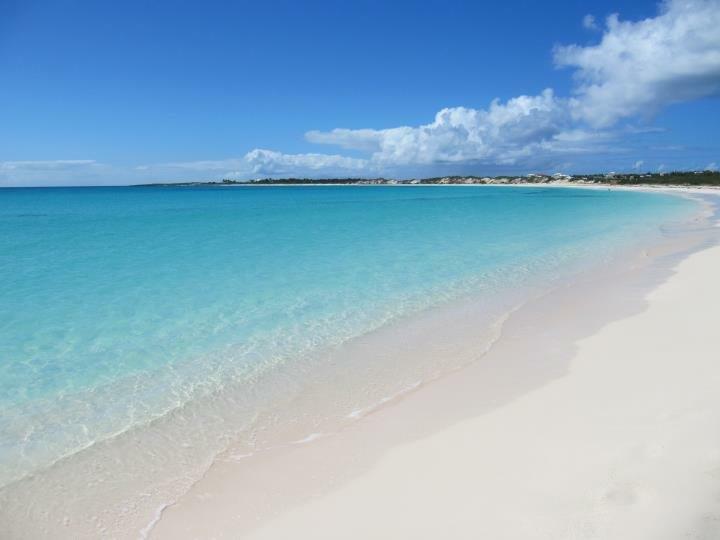 For centuries, the most appropriate adage to describe Anguilla would have been “beggars can’t be choosers” but when it comes to beaches that would unequivocally have to be replaced for something along the lines of “spoiled for choice”. In the land of talc-like sand, this is a rather obscure and utterly uncelebrated beach, though not for that reason is it unloved. In fact, ask locals and they’ll likely speak fondly of Blolly Ham Bay, an unpredictable and slightly mysterious place, a beach that comes and goes with the tides, a secluded cove full of privacy, romance, and allure. 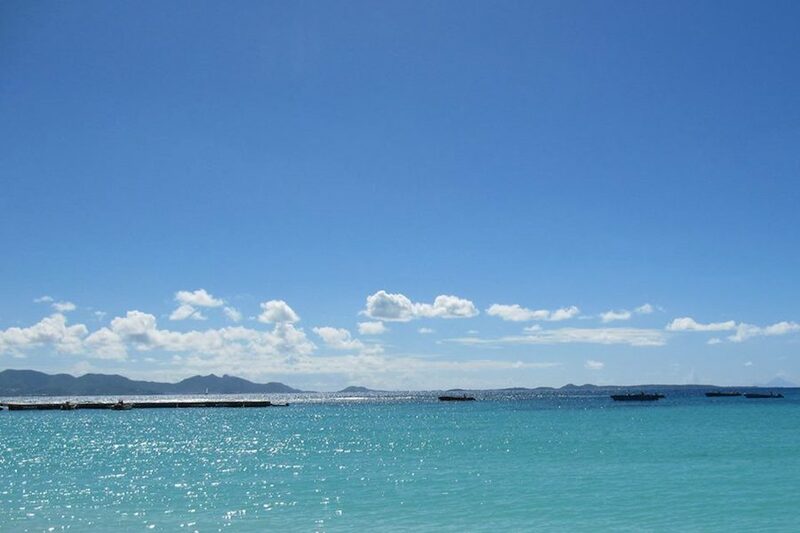 Whether there is an element of received wisdom in Anguillians’ liking for Blolly Ham is open for discussion but one thing is certain: as the island’s coastline juts northward it creates a promontory at the base of which the sand accumulates and is periodically exposed. 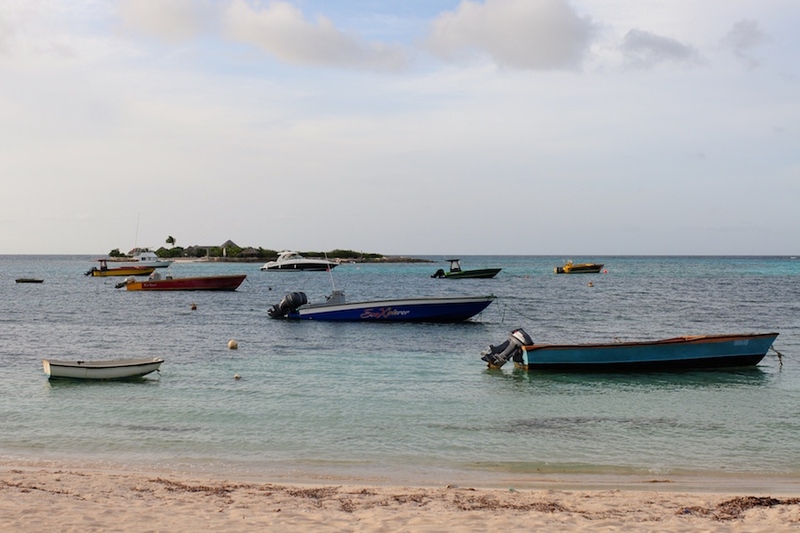 This headland constitutes the perfect vantage point to watch boats arrive from the west, a feature that in the current environment is only useful on certain boat racing days but that in days past was central to Anguilla’s lifestyle. Because the ships in question were not sail boats built specifically to race around the island but rather people carriers returning from the Dominican Republic, where the vast majority of the men spent half their year cutting sugar cane. Once the cane cutting season ended, round about the end of July or the beginning of August, the men would board the sailboats that would take them back to their island—and the ensuing sprint homeward was as important as it was reckless. At stake were the bragging rights for the next six months, for one, but also the opportunity to get back to the island—and its women—ahead of everyone else. As the boats carrying men, money, and gifts materialized in the horizon the women would already be waiting on the promontory beyond Blolly Ham, gathered all the way up to the Point, where they would wave at the passing boats, their skirts flowing in the wind. 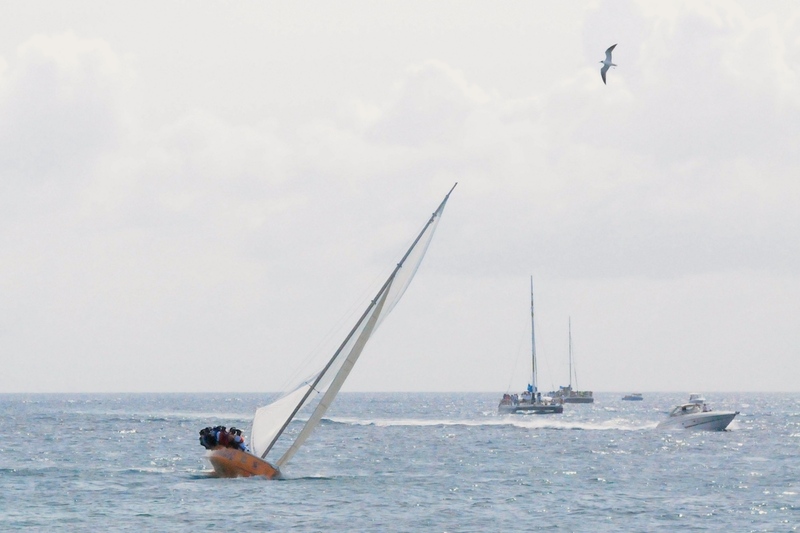 Herein lies the source of Anguilla’s unbounded love for sailing, and the origins of the traditional boat racing season, which finds its climax in the middle of Anguilla’s Carnival. 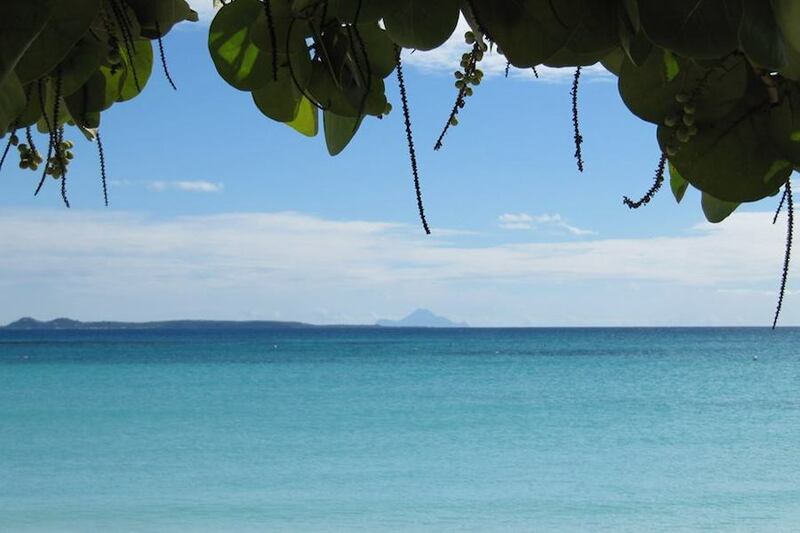 For sailing, like the beach at Blolly Ham Bay, is seasonal. In some way Cove Bay and West End are the two sides of the same coin in Anguilla’s development, the future as it was all the way back when the island first joined the ranks of modernity and as it is now that the it has brought so much progress (yet no hoverboards, or even the prospect of a carbon neutral infrastructure). As we approach the end of the second decade of the 21st century, The Cove still provides us with a glimpse of what the island was like when tourism and Anguilla first met (it’s hard to tell which discovered which, so let’s just say it was a match made in the heavenly waters of the Caribbean). This mile-long bay with wide expanses of soft floury sand rolling onto unkempt dunes and wild shrubs is so pristine it isn’t actually immaculate—which in fact adds to its beauty. The water is warm and gentle near the sheltered end by the pier, growing marginally brisker towards the west as the cove becomes exposed to the tides. Out there, on the widest part of the beach, with the inclement sun reflecting off the bright white sand and the sparkly sea, so far from everything even mobile phone reception becomes improbable, caught inside the mirage that engulfs the onetime salt pan, only there can you visualize what this island was like a mere half century ago. 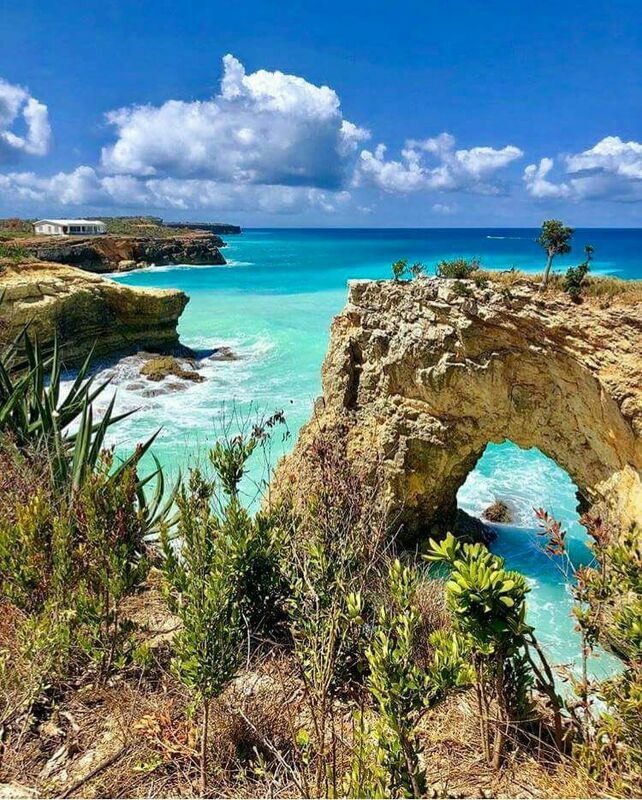 The irony of it is that just a short walk away, not even a few hundred meters back, you can also witness the full extent of the transformation—also the physical one—experienced by Anguilla in little more than a generation, as the CuisinArt Golf Club runs all the way down to the coastline. On the one hand you have the primal rawness of an area begging to be developed, on the other the incredible, almost arrogant, achievement of nursing a vast green field on the most barren of lands—and in the middle a whole world of possibilities waiting to be fulfilled. Discover all our available properties in West End, Blolly Ham Bay, and Cove Bay.